Blue Coat is celebrating another excellent set of A Level results, with 93.8% at A*-C and 100% at A*-E. 32 students achieved all A*s and As, with Jamie Rowe and Tom Cobley attaining four A*s, Head Girl Kukua Blankson achieving three A*s, and two students – Tom Lightning and Alex Parkhurst – confirming their offers to study Medicine. 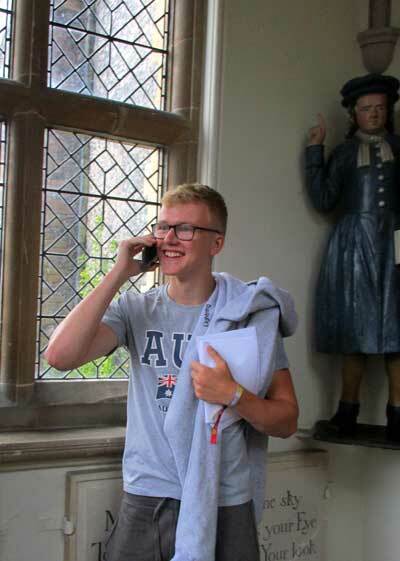 Jamie Rowe’s four A*s (Chemistry, Maths, Further Maths, Physics) confirm his offer to study Natural Sciences at Robinson College Cambridge – the day before his 18th birthday. A rather stunned Jamie, with his proud and tearful mum, Helen, says he is “pleased and very happy” with his results. Jamie follows in the Oxbridge footsteps of his father, Philip, who studied at Oxford. Philip was the Academic Deputy Head at Blue Coat until he took over headship of Silcoates School in Yorkshire in September last year. Imperial College is the destination for Tom Cobley, whose four A*s in Design Technology, Maths, Further Maths and Physics confirm his offer to study Computing at the prestigious London university. Blue Coat’s Head Girl Kukua Blankson’s three A*s in Art, Economics and Psychology enable her to take up her offer to study Liberal Arts at Exeter – focusing on Psychology. “I’m feeling good…..relieved”, Kukua says. Kukua’s mother, Mootsoo says: “We’re very proud of Kukua – she worked very hard”. 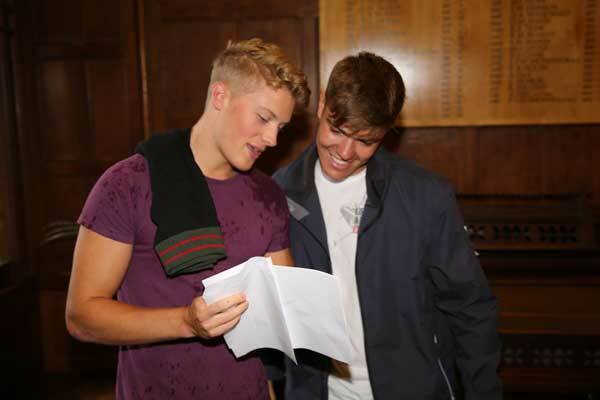 Tom Lightning is “over the moon” about his A* and 2 As and his place at Birmingham to study Medicine; and Alex Parkhurst’s three As enable him to take up his offer to study medicine at UEA. 1st VIII cox Freddie Bryce will be heading to Tauranga in New Zealand to spend his gap year coaching rowing at the Tauranga Rowing Club and at Tauranga Girls’ College, as well as working part-time in a local bar. 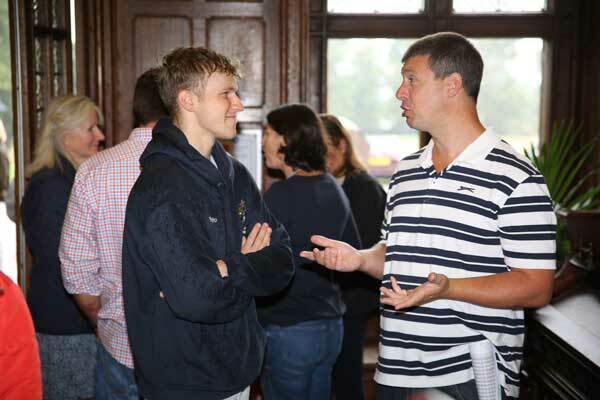 When he returns, he’ll be studying Business Management at Oxford Brookes, where he plans to continue his rowing. Another rower, Ed Martin, who recently cycled with four classmates from Land’s end to John O’Groats to raise money for charity, will work as a chalet host in France for sixth months during his gap year, before returning to study PPE at Exeter. Cricketer James Rogers, who recently made his debut for the Middlesex 2nd XI, will spend the year participating in a gap year programme at the prestigious Darren Lehmann Cricket Academy in Australia, as well as training and playing in the UK, before starting his degree in Sport and Exercise Science at Leeds University.